Fitted as standard to many of the Roadster derivatives and an option to all the remaining versions. These 2 pods sat on top of the centre of the dashboard, carrying on the design seen in the original smart 450 city coupe and fortwo. 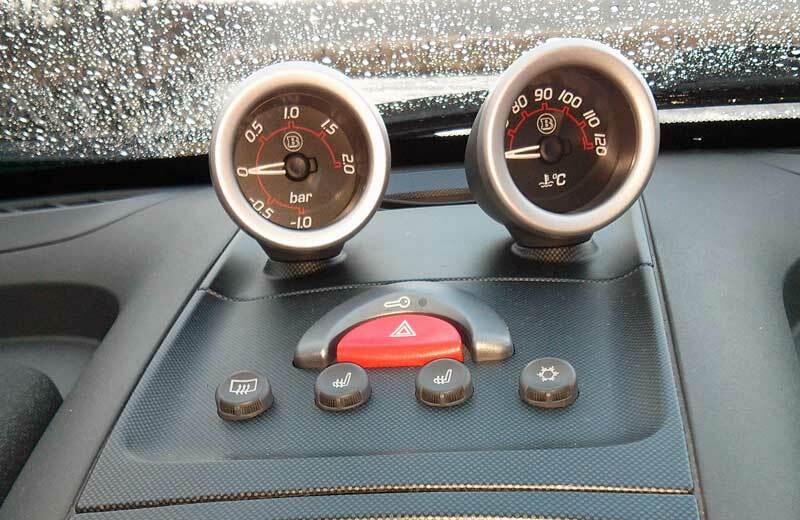 They were much smaller than the clock and rev counter pods found on the fortwo and they had different functions. Although the pods can be swapped over, generally the left pod showed boost and vacuum levels and the right pod showed engine coolant temperature. These are still available from smart at the time of writing (2013) and they retail for less than £100. They are available in black faced and silver faced in standard and Brabus variants. The only difference was the face colour and design. The graduations were the same on all versions.